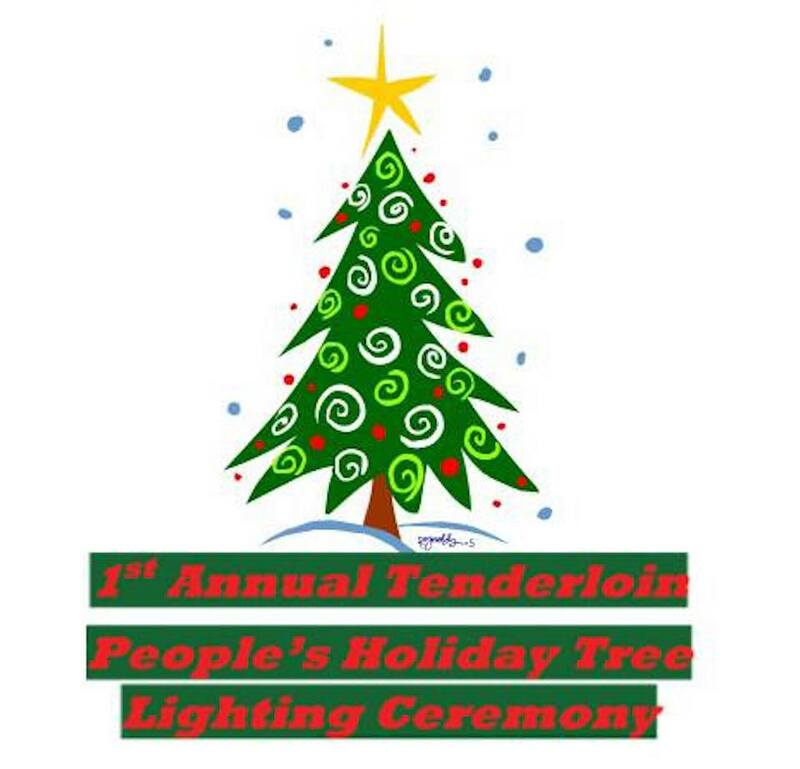 Boeddeker Park will host a new Tenderloin neighborhood holiday tree this year as part of the Tenderloin People's Congress' efforts to unite the community. A lighting ceremony for the 15-foot live tree is planned for 4 p.m. this Tuesday, December 18. The lights are already strung, thanks to the Tenderloin People's Congress co-chair Curtis Bradford. "It was just me on a 12-foot ladder hanging the lights," Bradford told us. The rest of the trees' decorations, however, are a community effort. Kids at the nearby Salvation Army Kroc Center and the Boys and Girls Club have been making handmade ornaments to adorn the tree, which the San Francisco Recreation and Parks Department has committed to making an annual occurrence, Bradford said. "The tree really fits within the space... but this year is just the beginning," he said, adding that tree in future years might be bigger. The tree is the result of Bradford's outreach on behalf of the Tenderloin People's Congress' Vision 2020 plan that reflects priorities for improvements and progress that were identified by neighborhood residents. As Bradford pitched ideas to community members in recent months, more and more people became excited about the idea of adding a tree to the neighborhood, where many low-income families are unable to afford a tree of their own. 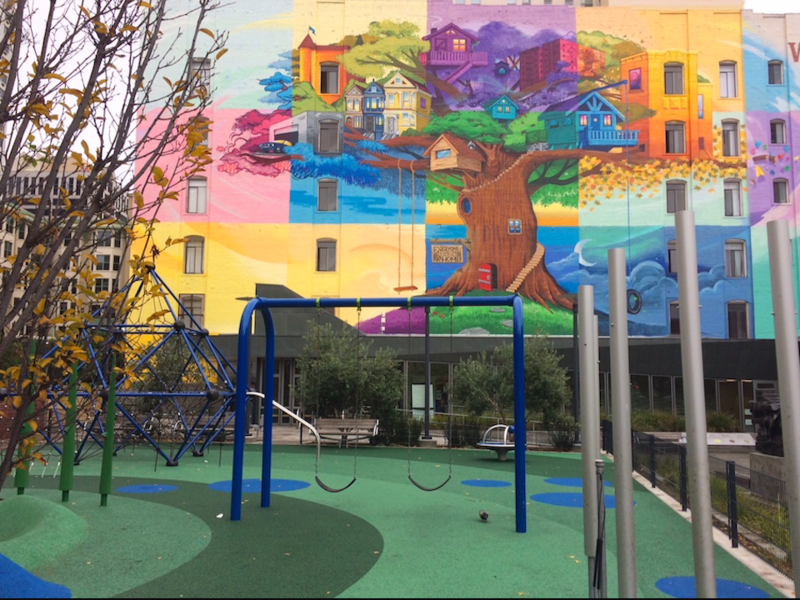 Friends of Boeddeker Park and the Tenderloin People's Congress collaborated to plan the Holiday Tree Project, and it gained enough community support to move forward. District 6 Supervisor Jane Kim identified some funding for the tree, and the decorations and lighting ceremony are also financed in part by the Tenderloin Community Benefit District and the Hospitality House, residents of which are also providing some handmade decorations. The Holiday Tree Project is also supported by the Tenderloin Neighborhood Development Corporation, the Tenderloin Equitable Development Project, the YMCA, and Z Zoul Cafe. The lighting ceremony will include a visit from Santa Claus, as well as performances from the Chinese Rights Association Choir, carolers from Glide, lanterns by the Tenderloin Filipino Community Association, and appearances by Kim and District 6 Supervisor-elect Matt Haney. The event is intended to recognize Kim's service to the neighborhood and welcome Haney, according to Bradford. 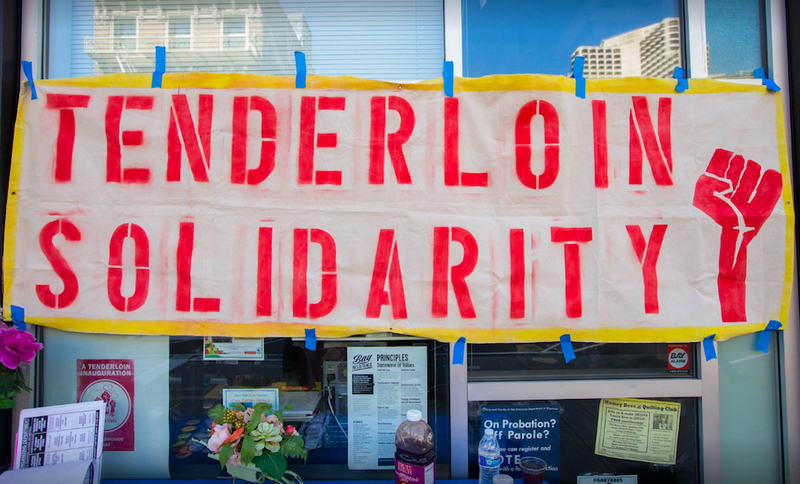 In the new year, the Tenderloin People's Congress will continue moving its Vision 2020 forward, with a focus on its nine priorities, Bradford told us. It is working to identify a site for a new Tenderloin Flea Market that would allow residents to buy and sell art and used items without needing individual permits, as well as working with city representatives to develop a proposal for a vacant tax to apply to empty residential and commercial properties in the neighborhood. Another focus is making detox and recovery health care services available to all neighborhood residents on demand, Bradford said. Anyone interested in becoming involved in the Tenderloin Peoples' Congress and its Vision 2020 plan can contact Bradford at curtisbradford5 at gmail dot com or attend the monthly steering committee meetings in Boeddeker Park's community room at 11 a.m on the second Monday of every month.